This PDF Password Remover Software permits users to eliminate all security from PDF files. The software unlock PDF file very easily. Once the owner level security has been removed, users can perform copying, extraction, printing from PDF document. Moreover, it can be stored to any of the desired location. 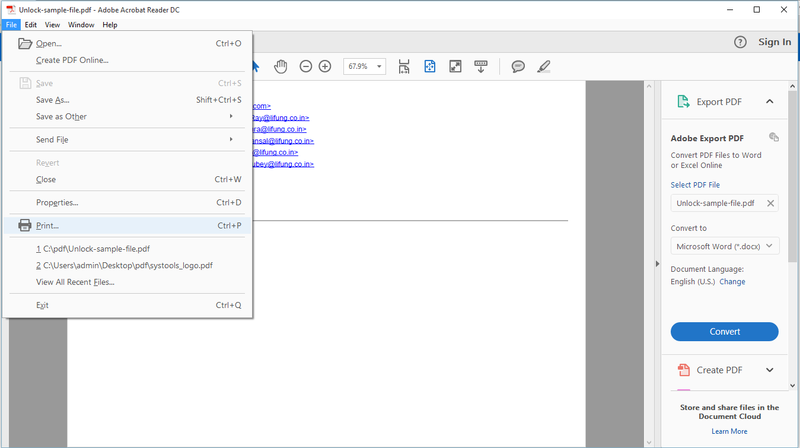 Using single file mode, users can unlock one PDF file at once. PDF password Unlocker software is capable to remove password from PDF documents. In addition, It can effortlessly remove the user level password by simply proving the associated password when prompted. After the removal of PDF password, the consequential PDF document will not ask for password to open it. 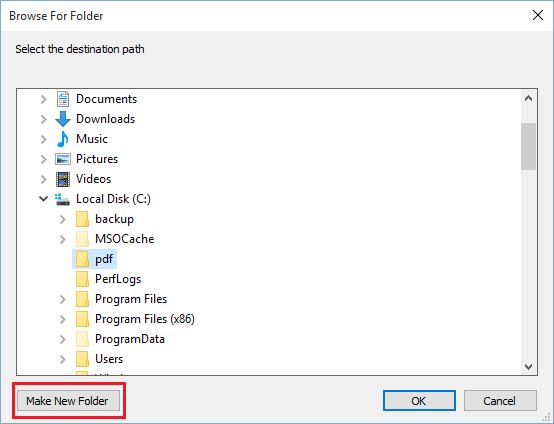 In case a user have multiple PDF files with a common PDF restriction or some special protection then this tool can remove it. For executing the bulk operation, users need to use Business License of software. This is because Home User License can be used for single file mode. Bulk migration makes the process fast, easy and saves users time. The PDF security remover software gives all the associated permissions once users browse and load the PDF document. 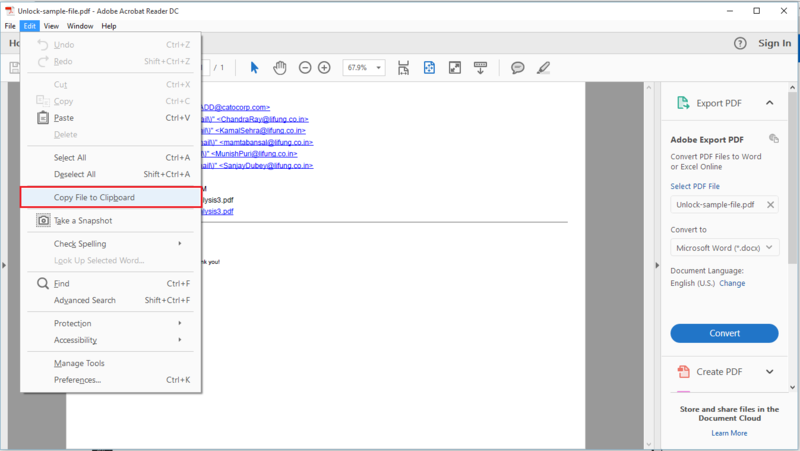 They can see the status of PDF file permission using “After” and “Before” columns respectively during the utility removes the PDF password protection from certain files. The permission status view will modify accordingly after the removal of protection. 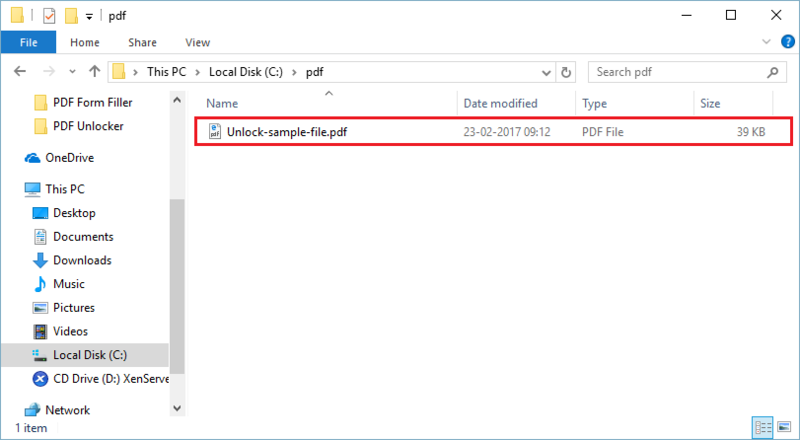 The PDF Unlocker tool provides one more interesting feature is that, it is compatible with all versions of Windows Operating Systems. It includes Windows 10, 8.1, 8, 7, XP, Vista, etc. Moreover, apart from copy, print, edit restrictions it can also remove document signing, commenting, creation of template pages restrictions & it also enable form filling in PDF files. Safety and security of the files is one of the most important things for users. Therefore, PDF Password Remover tool has given such a designing that it removes PDF password and retains data integrity throughout the whole process. It keeps the formatting safe and maintain the original format of PDF file (Portable Document Format). Therefore, users can rely on this software. The Demo Version of the PDF Password Remover Software will Unlock PDF Restrictions, but if you want to save the file you will get Watermark on the unlocked PDF document. Does PDF restriction remover tool can decrypt owner level protection? Yes, you can remove owner level password form PDF document. After that you can copy, edit, print, extract PDF file. Can I remove copying restriction from PDF document by using this PDF password remover tool? Yes, using this PDF restriction remover software you can remove all the restrictions like copying, editing, printing, etc from PDF document. also, this software maintains the data integrity as well. Is the possible to unlock PDF for editing? I am having a secured PDF file in which I need to make some changes. But, I am unable to do so due to security. So, can I remove edit restrictions from PDF file by using this PDF Restriction remover software? Yes, With the help of this PDF unlocker software you can easily remove editing restrictions from PDF file. How to enable highlight feature in Adobe PDF file? Yes, of course you can enable highlight in secured PDF document by this software. Along with this you can also remove all the restrictions (owner level password) such as copying, editing, printing, etc from the PDF files by using this software. But, to remove user-level password you need to enter the correct password. How to remove security from PDF document? To remove password from secured PDF files, PDF password remover tool is the best way. This software removes PDF protection and unlock PDF file for editing, copying, printing & extraction. That situation when I needed PDF document, but the file was protected was really scary to me. I was worried that what to do now. Then, I came across PDF Password Unlocker Software. I downloaded the software immediately and unlock pdf for editing, copying, printing & extracting. This tool proves like boon to me. Moreover, it has a very simple-interface making it convenient to use. Our organization has recently used Datahelp PDF password remover software. It proves a perfect program for our company. All the employees that have used this utility to remove password protection from PDF, and they are very happy with this innovative software. Unlocking password protected or encrypted PDF files were really tough manually. Then, my uncle has suggested me this simplified utility. I have used it for the same propose and get the resolution of my problem. Now, I would suggest this PDF Security Remover Software to my relatives and friends whenever they are in need. 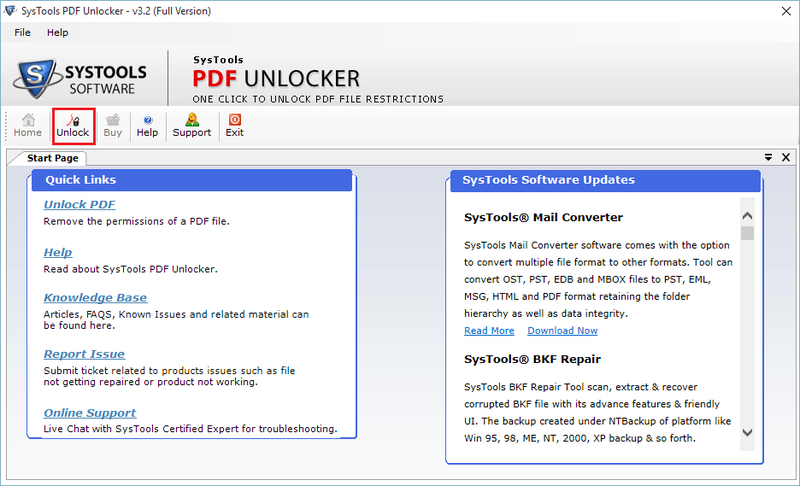 This PDF unlocker wizard is really amazing to unlock password protected PDF file. I have just used this software; it can even unlock the entire folder. It fulfilled all my expectations by decrypted the password protected files while maintaining the data integrity. This PDF restriction remover tool perfectly works for me, I used this software to unlock PDF files from the copying & editing restrictions. 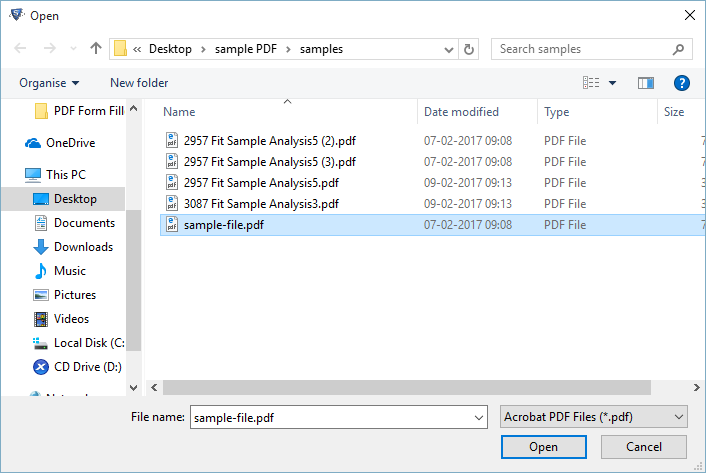 This is easy-to-use software to remove password protection from PDF files, I can easily work with the software because it provides perfect Graphic User Interface.